Board up your house, stock up on food, and prepare for the Zombie Apocalypse because The Walking Dead is coming to Virginia. 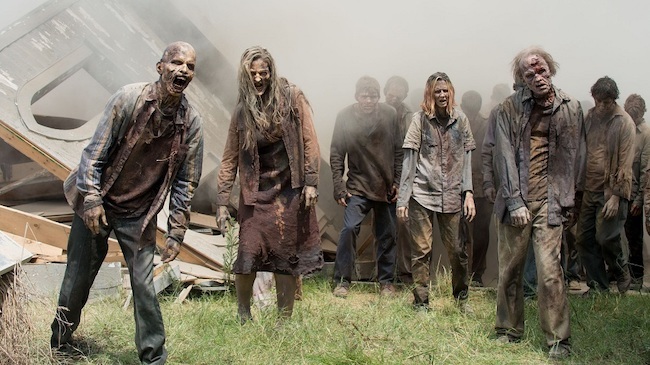 During the AMC Networks Summit in New York, AMC announced plans for a new spinoff of The Walking Dead to be released in 2020. Although the show doesn't have a title yet, it will bring back Matt Negrete, a writer and producer on The Walking Dead for the past five seasons, and Scott M. Gimple, a chief content officer for the universe. This corner will take the dead right to Virginia. The 10-episode series will film in central Virginia, with production starting this summer. Northam revealed that The Walking Dead’s filming in Virginia will also be eligible for a state tax credit, which will depend on the number of Virginians the show hires, Virginia goods and services bought for the show, and tourism promotions for the state. Therefore, the more of us that get involved in the Zombie Apocalypse, the more we’ll help the state and bring some good to the end of the world. So, brush up on your acting skills, practice your zombie voice, and get ready to bring in AMC’s new Walking Dead spinoff series. Let us know if you’re excited about The Walking Dead spinoff, and keep us updated if you end up on the show!